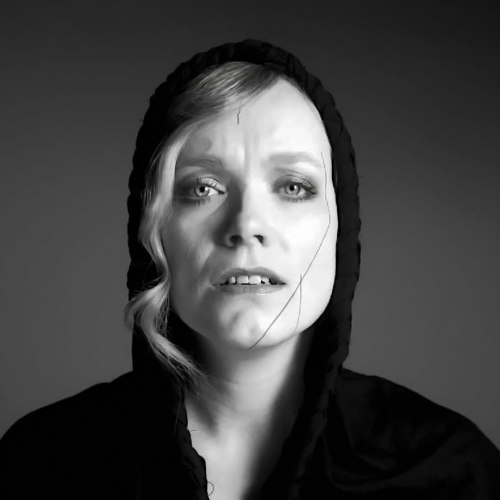 Ane Brun (IPA ænə brun), real name Ane Brunvoll (born 10 March 1976), is a Norwegian singer/songwriter, born and raised in Molde, Norway. She lives in Stockholm, Sweden. After a few years of numerous live stints in Sweden and Norway and several non-official EP releases Ane Brun gained her own fan-base and her first official album - Spending Time with Morgan was released at the end of May, 2003 in Scandinavia, and in various European countries in the fall of 2003. The album was released via Ane's own label "DetErMine Records" ("ThoseAreMine Records") that Ane co-owns with Swedish musician Ellekari Larsson and her band The Tiny, and licensed to V2 Music. A temporary dive released in 2005 built on the first album's success, and is full of songs reflecting on the events following Ane's breakthrough. The fight song records what a struggle it has been, while My lover will go is a haunting tale of woe. One song, Song No.6, features Ane's good friend, Canadian Ron Sexsmith. In terms of later works, Duets was released in 2005, Changing of the Seasons and Sketches in 2008, and It All Starts with One in 2011 - the first of her Albums to chart outside of Norway / Sweden. A compilation album Songs 2003-2013 was released in 2013. Ane started her musical career fairly late. It wasn't until she had turned 21 that she took her family's old acoustic guitar to Oslo where she then lived. She quickly found a new best friend in the instrument and for the next two three years she taught herself songs by favourites acts Ani DiFranco, Joni Mitchell, Ben Harper, Nick Drake etc. In the process she began to develop her own style of playing the guitar. In 1998 when on vacation in Spain she brought her instrument (now affectionately named "Morgan") - and her first official live appearances were actually during this trip when she took to the streets in both Barcelona and San Sebastian playing to anyone who would listen, though few would listen. After this corner had been turned she returned to Norway but now moving to Bergen and things definitely started to happen musically. She started composing her own material and for a while she joined the Norwegian band Damsels in Distress. In 2000 Ane moved to Stockholm and started really venturing out on her own, set on the idea of making a living of performing live with her music. Since then Ane has been constantly on the road playing everything from the smallest venue to the leading festivals - either solo or with full band (drums, bass, piano electrical and lap-steel guitar). She now lives in Stockholm, Sweden. She recently collaborated with Koop, an indie swing-funky band, singing in Koop Island Blues, the opening track for the band's last release "Koop Islands"